Leo Hickman of guardian.co.uk began his post by asking readers to name their favourite green books. He has a good reason for doing so. Cambridge academics recently published a list of top 50 books on sustainability . 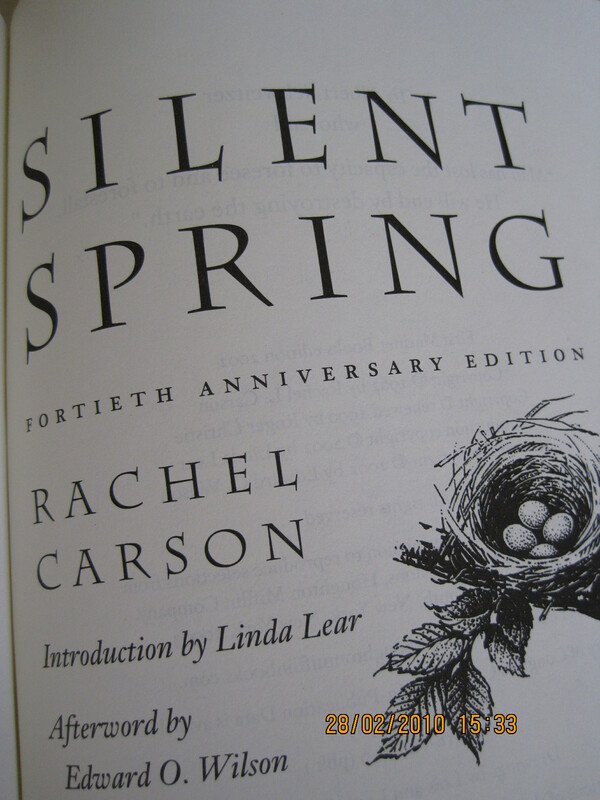 Rachel Carson’s Silent Spring (1962) made the list of top green books. So did Gaia: A New Look at Life on Earth (James Lovelock, 2000), Globalization and its Discontents (Joseph Stiglitz, 2002), Staying Alive: Women, Ecology and Development (Vandana Shiva, 1989), The Population Bomb (Paul Ehrlich, 1969) and The Limits to Growth (Donella H. Meadows, Dennis L. Meadows and Jorgen Randers, 1972), among others. Lists are dicey things. There will always be objections from those who do not agree with you. I prefer to look at this list of top 50 books as a guide to past and current thinking on sustainability.